Sweet Treats by Sarah: Yo Crunch $0.10 at Tops! Yo Crunch $0.10 at Tops! 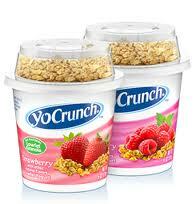 Go here to print this new coupon for $0.25/1 cup of YoCrunch!